With any community project, it is of vital importance to listen to the needs of the stakeholders in that community. For our small four-person team at Pilot Projects Design Collective, this was at the forefront of our minds as we began a project to redevelop Orchard Street in the Lower East Side. As part of our data collection, we strategized and built a 15-foot scale model with movable trees, benches, bike corrals, bike posts, light posts, and parking meters. We held a community meeting and invited residents, business owners, and property owners to position pieces in the places where they'd like to experience them, as well as write additional thoughts/details on post-it notes, which they could stick onto the model. We pre-empted this whole thing with a simple web survey to gather data about the needs of the community. 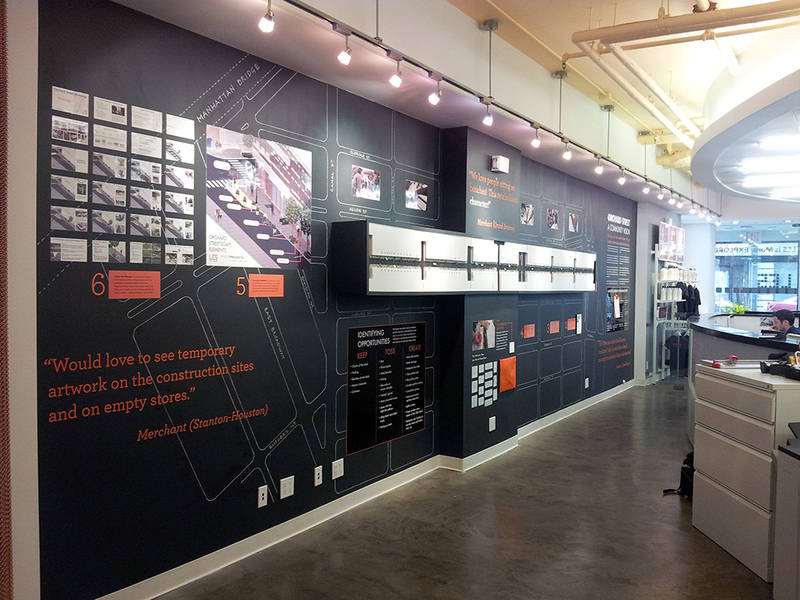 In order to share the data we'd collected with the neighborhood and greater NYC, we built a 20 foot wall installation in the office of the Lower East Side Business Improvement District. This included a step-by-step on how we'd gathered the data, information on LES' history, our philosophies, and a section for new comments, to "keep the conversation going."